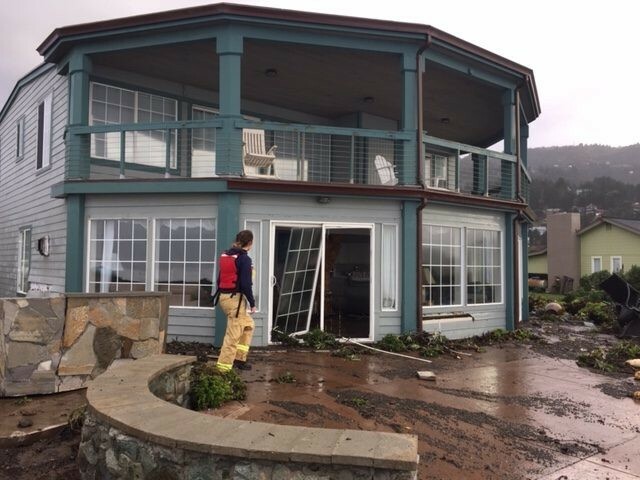 Eight homes on Lower Pacific Drive in Shelter Cove have extensive damage from massive waves hitting the shoreline today, said Cheryl Antony, spokesperson for Shelter Cove Fire. One home has approximately 10 broken windows. 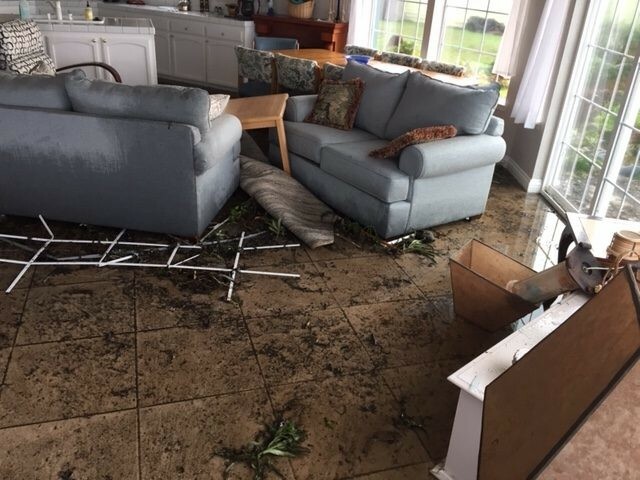 Homes are flooded, furniture damaged, one door was broken, debris, water and mud are strewn throughout the homes. 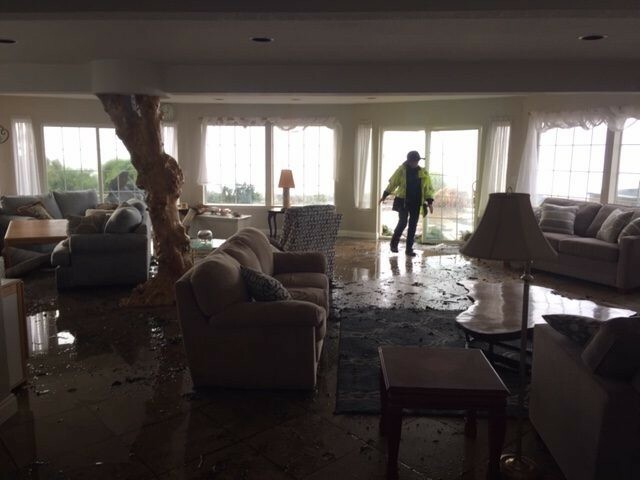 Broken door, soaked furniture and debris on the floor mar this beautiful beachfront home. And the waves continue to surge. 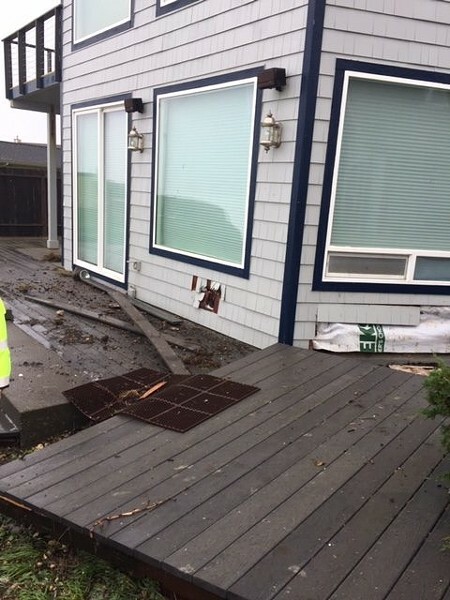 The power and propane to the damaged homes have been turned off after a hole in one wall began to smoke and propane tanks were found dislodged from their mountings. Blue Star gas and the power company have responded to the area and the owners are being contacted. Shelter Cove Fire is using plywood to cover the windows (both broken and unbroken) of the damaged homes. “It is supposed to hit again tomorrow morning,” Antony said. A member of Shelter Cove Fire inspects the damage including water on the floor of this custom-built home. 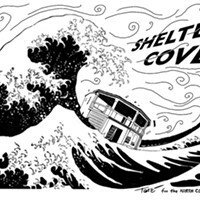 Broken door on expensive home on Lower Pacific Drive in Shelter CoveHigh waves broke down a door on an expensive home on Lower Pacific Drive in Shelter Cove. 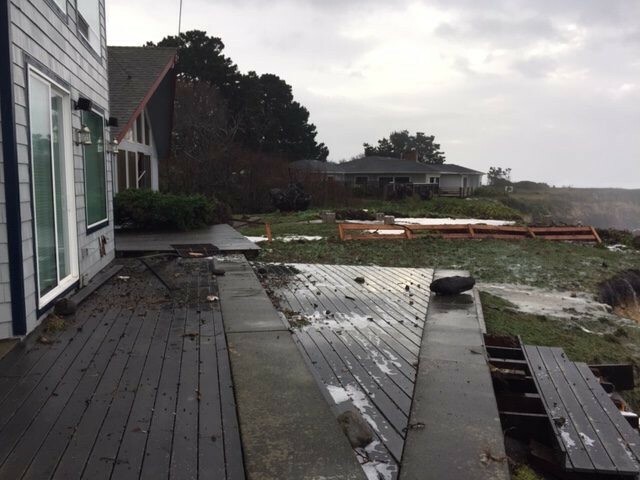 A fence was knocked down between these two waterfront homes and waves left debris on deck of the home in the foreground. 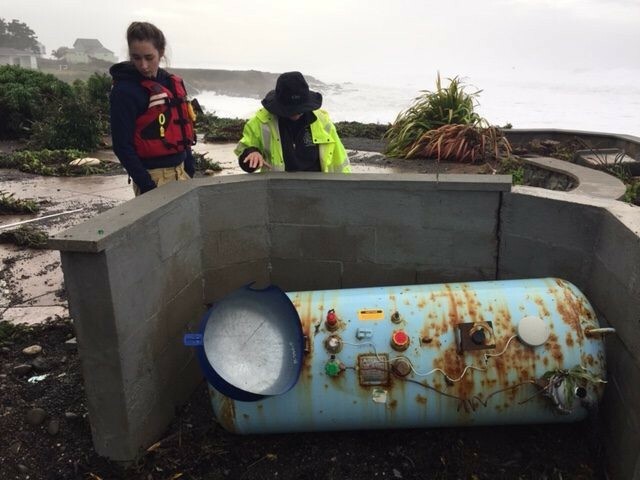 Shelter Cove Fire Crew members, wearing life vests, examine this propane tank which was shoved off its mountings.